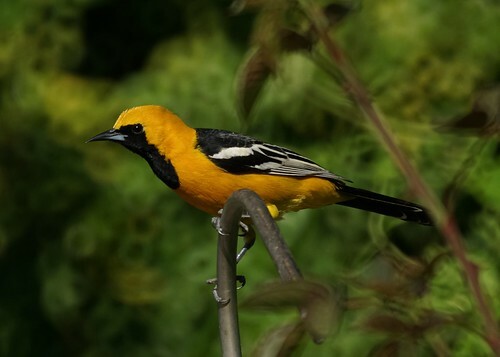 The hooded oriole is a month early to our yard this year. Yesterday, we did some backyard birding, sitting out on a lounge chair with a glass of wine, binoculars and camera, and waited for birds to come. 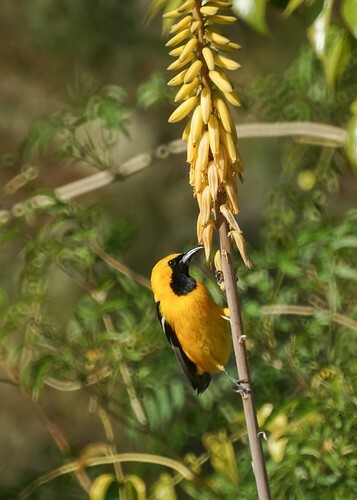 We got some good looks at the male hooded oriole. He even brought a female with him to the bird bath, but she was too shy to spend much time out. We didn't know they liked to eat from the aloe plants.